Mansfield Bank, a Massachusetts-based bank, has selected Computer Services Inc (CSI) as its new core provider. It is understood that on the way out is Fiserv’s Cleartouch core processing solution. 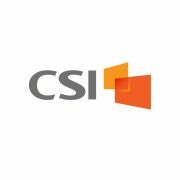 The bank will implement CSI’s product suite, including its NuPoint core processing solution, digital banking platform and CSI CRM, to provide its customers with digital banking and “more efficient” back-office processes. The conversion to CSI NuPoint aims to create a user experience across all channels, “streamlines” internal processes and offers the ability to personalise customer experiences through user analytics. “It is imperative to us that as we advance with new customer-facing changes, we do so with a partner whose principles align with ours,” says John Westwood, Mansfield Bank’s first SVP, CFO and treasurer. Mansfield Bank plans to use the core processing solution for customer service through company-wide internal adoption. On the bank’s website, it says it was founded in 1883 as Mansfield Co-operative Savings Fund. Interestingly, the bank adds that this was the same year time zones were created in the continental US – and the same year the Brooklyn Bridge was opened.